The Kameni Islands formed after the caldera. 11 eruptions since 197 BC have made the two islands. 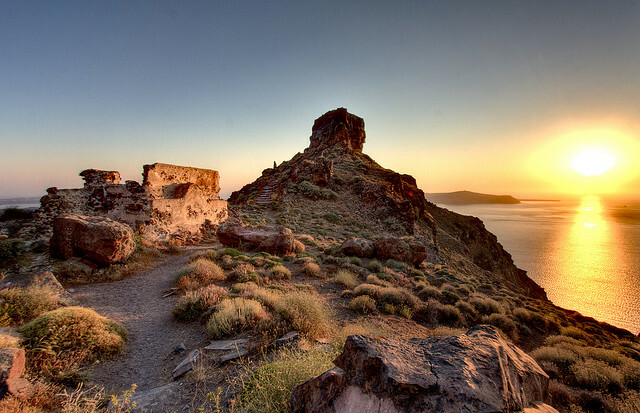 The most recent eruption at Santorini was in 1950 on Nea Kameni, the northern island. The eruption was phreastic and lasted less than a month. 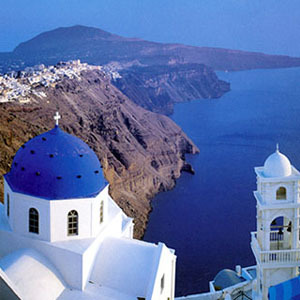 The island capital of Santorini, Fira clings to the edge of a cliff, which is, in fact, the rim of the crater. 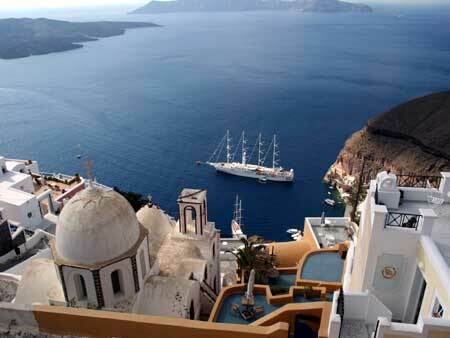 It is 900 ft about the landing port and about 800 broad zigzagged steps up from the port. You either take the donkeys or mules up the winding steps or modern-day travellers prefer the cable car. Climbing the steps with a mule had been a tradition on Santorini for years, until 20 years ago when the cable car made its appearance. The Castle of Skaros is worth a visit. When Venetian leader Marko Sanouthos conquered the island in 1207, he raised the flag on the castle. 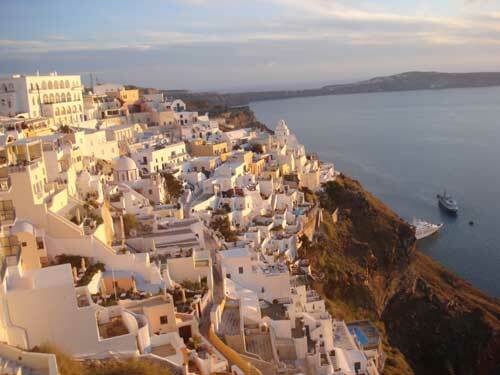 It was at this point that Thira became known as Santorini (Santa Irene). The castle guarded the western entrance to the island from attacks. The castle had two portions, one called Rocka and the other where Roman nobles and Catholic bishops had their residence. The castle was never defeated during the 600 years of existence. 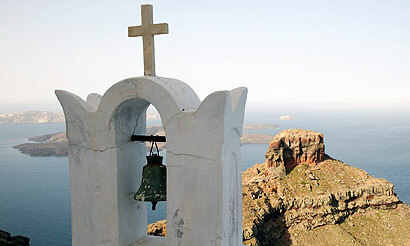 Because of its proximity with Fira, it is connected with a public road or by the old path, offering tremendous views as you walk along the rim. 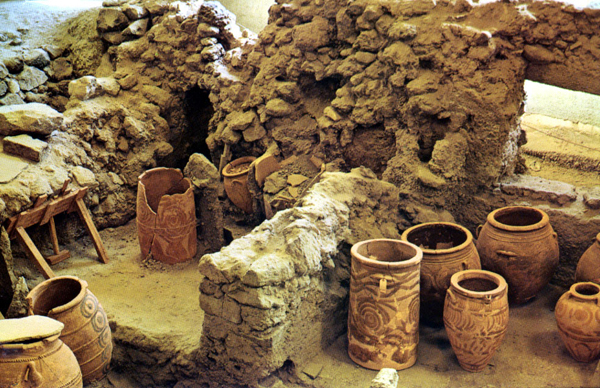 Akrotiri Village is one of the most important prehistoric settlements of the Aegean. The various imported objects found in the building indicate the wide network of its external relations. 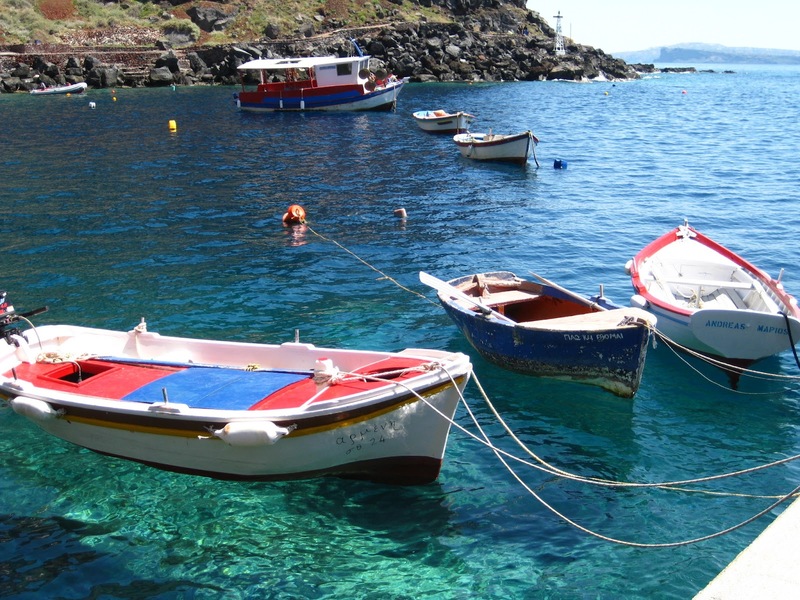 Akrotiri was in contact with Crete but also communicated with the Greek mainland, the Dodecanese, Cyprus, Syria, and Egypt. 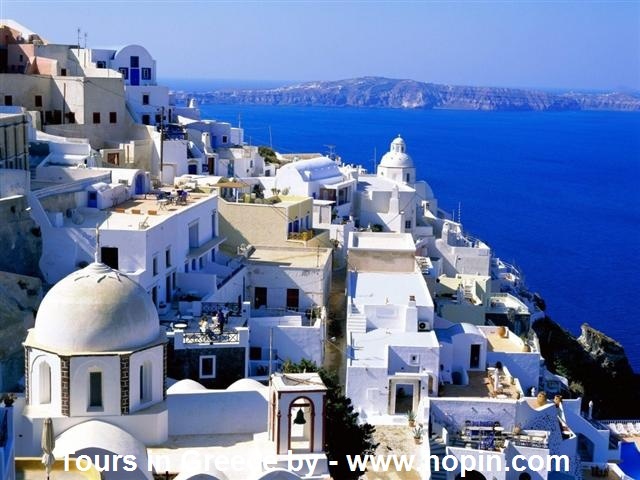 The town’s life came to an abrupt end in the last quarter of the 17th century BC when the inhabitants were obliged to abandon it as a result of severe earthquakes. The eruption followed. 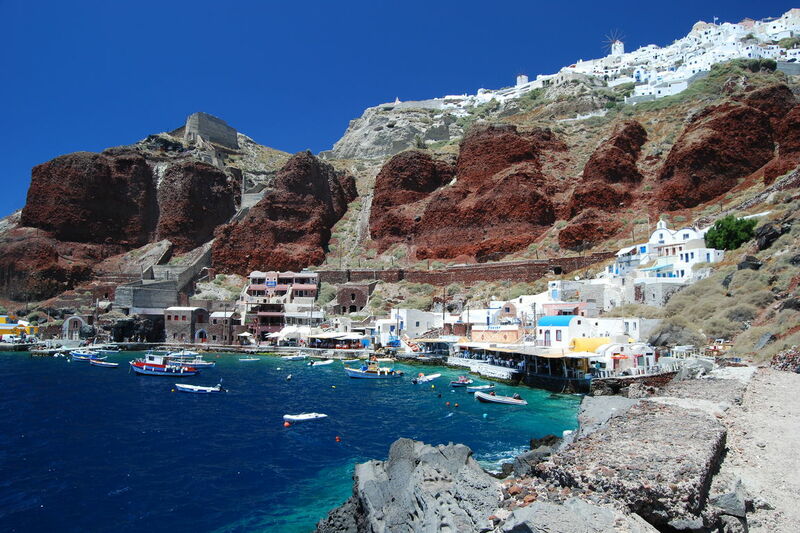 The volcanic materials covered the entire island and the town itself. These materials however, have protected up to date the buildings and their contents, just like in Pompeii. This is what we’ll see in a few short hours! The pictures don't do this place justice!